CJP Mian Saqib Nisar got angered at DIG Ghulam Mahmood Dogar during Supreme Court Hearing. The DIG had sought an undue favor in a case through the Son-in-law of CJP. 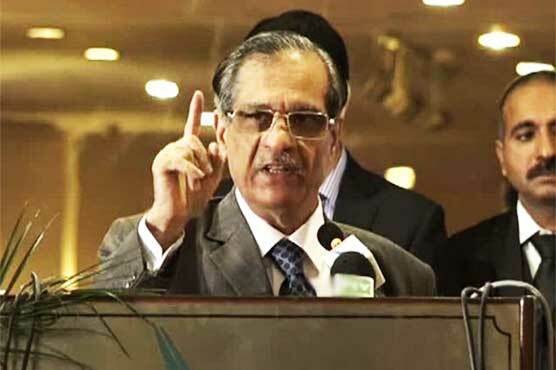 Chief Justice Pakistan, Saqib Nisar, was hearing the case in Supreme Court over a child custody battle of the officer. The CJP expressed anger and displeasure at the DIG for asking his son-in-law Khalid Rehman to approach the CJP for an undue favor. Chief Justice asked the DIG that how dare he approach him for favour through his son-in-law? He continuing said that he was doing Jihad for the welfare of the Islamic State, and DIG wants him to give a favor? The DIG then offered an unconditional apology, to which Justice Nisar asked him to tell him the name of the person who advised him to gain a favor from him in the case. Later, the Chief Justice’s son-in-law appeared before the court. He told Chief Justice that the DIG Ghulam Dogar asked him for a favor and also issued an unconditional apology. The Chief Justice, however; told his son-in-law that he was his son at home but right now in the court of law he was but a normal civilian.